You can sign up to Scribble and smudge newsletters and find out about our workshops and things to do with your family London wide . 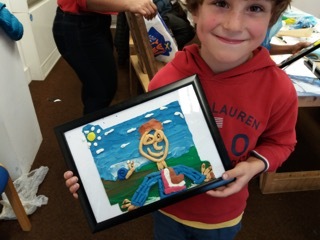 Creative Kids, November 9th, at The William Morris Gallery. A Free workshop for under 5's. "all that Glitters" a workshop about May Morris jewellery. Suitable for about 2 years and up. Booking is essential. Two sessions available 10 til 12.30 am then 1 til 2.30 pm. We will be at Church hill nursery celebrating their International day. 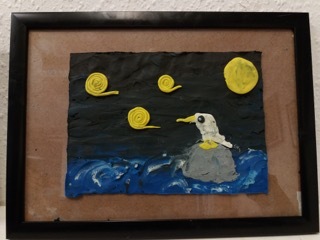 Please look at the plasticine pictures made at The Mill in the half term. 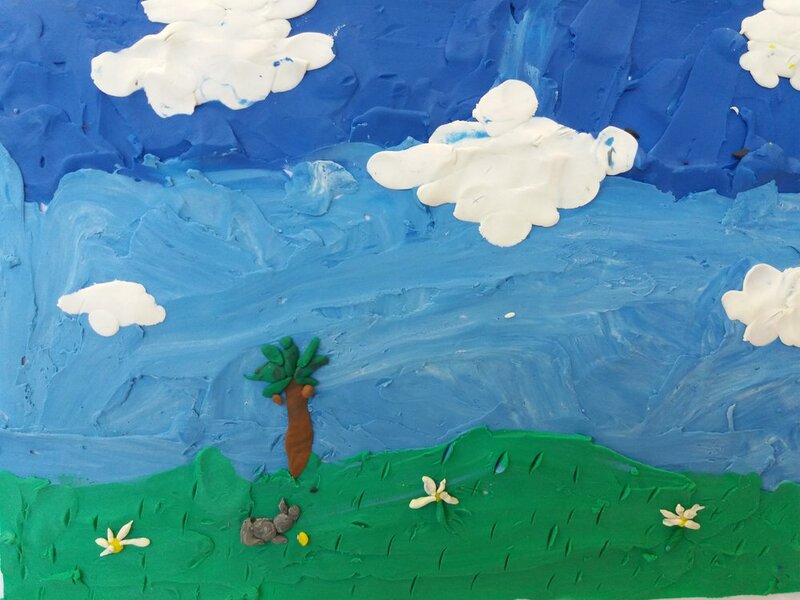 They worked really hard at mixing colours and they made some really fantastic landscapes. Thankyou to the Mill and the volunteers, Jodi and Jane for helping me on the day. The Red Turtle craft at The Kids film lounge, November 4th at CentrE17. Free workshop for those with a ticket on entry. The Red Turtle is a beautiful Studio Ghibli film, cert PG.Here are a few photos taken today at The Kids Film lounge in Centre17. Screening of the wonderful Red Turtle, by the Studio Ghibli. Fellow Scribble Akiko had fun with you all. Enjoy the photos. Next month, December we are visiting The WWF headquarters to see how the Origami cranes you made are getting on. Crafting xmas cheer at The William Morris gallery for Creative kids. Scribble and Smudge will be producing workshops in Waltham Forest for an exciting project with Artichoke . Dates and venues will be announced on my site and social media soon.